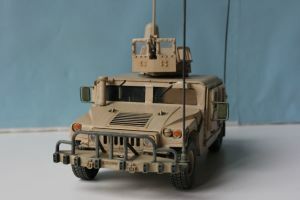 This model represents an M1114 with Frag 5 doors and a not so common MCTAGS turret, as seen in Iraq (see picture below). 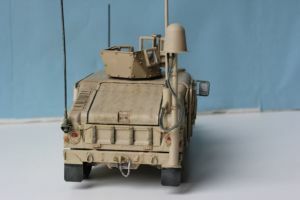 In place of the Duke antenna seen in the picture, I decided to install a Chameleon ECM (Electronic CounterMeasure) device as I have seen on other vehicles. 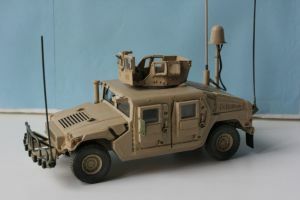 My model is based on the M1114 HA by Bronco, upgraded with a Chameleon device by Voyager Model “Modern US HUMVEE ECM Antenna set” (PEA254) and a scratch built MCTAGS turret. 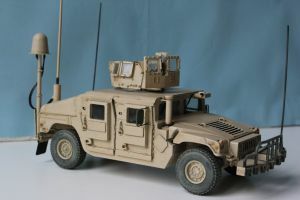 I also replaced the uncorrect Sincgar unit provided by Bronco in the kit with Voyager Model “US ARMY HUMVEE Blue Force Tracker & SincGar Unit” (PEA259). The M240 machine gun in the turret is by Live Resin (LRE 35014 – US Army M240B). As usual I have found plenty of reference materials in Armorama. In addition I found good reference for the turret in Tamiya Magazine n° 180 and in HMMWV in scale. 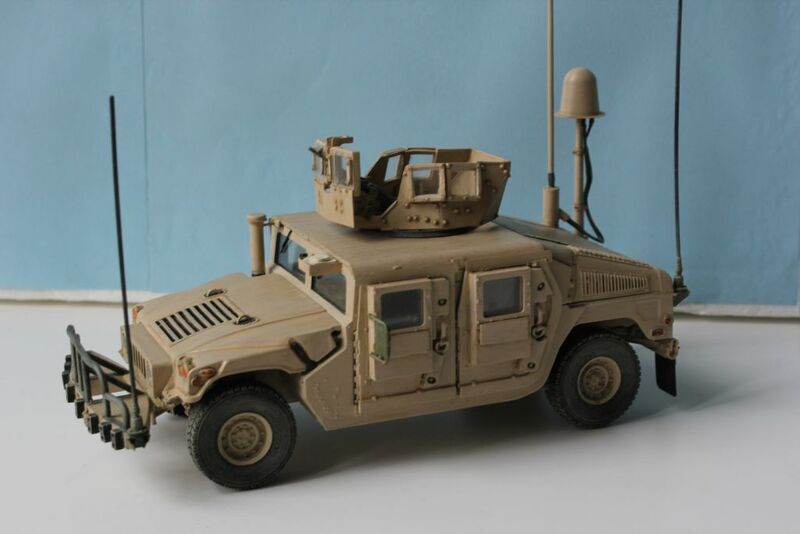 Wheathering has been done using AK Interactive enamels (“OIF&OEF Wash”and “OIF&OEF Streaking Effects”). 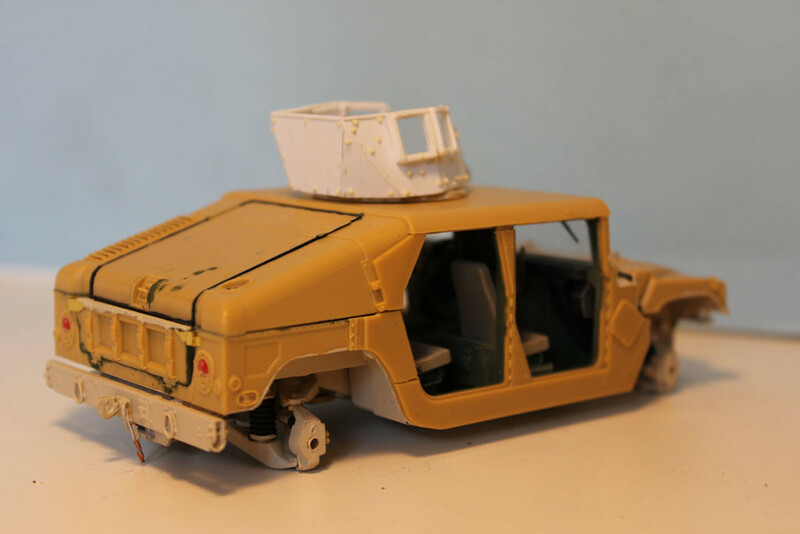 This is the story of my attempt at scratch building the MCTAGS turret. I have found many reference pictures in Armorama and in HMMWV In Scale, but I wasn’t able to find the exact measures of the turret. 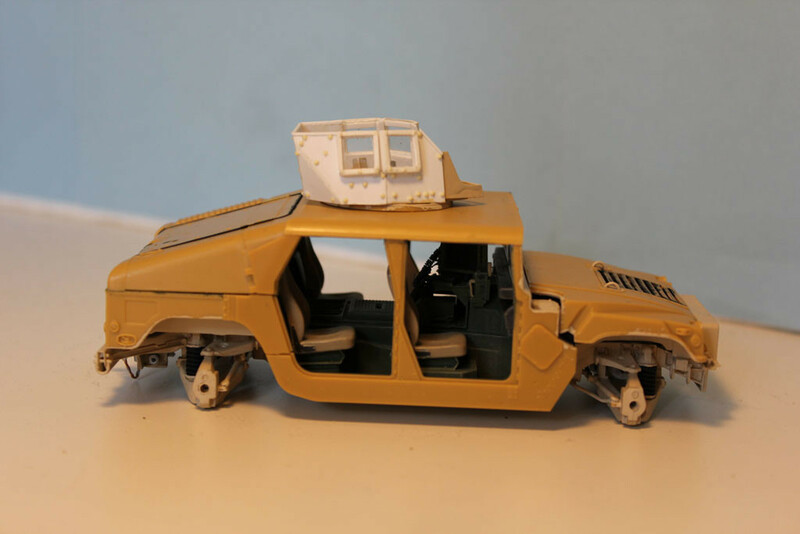 Therefore I used an empirical approach: I deduced the measures by comparing the size of a part in the pictures with the size of the same part in the Bronco model. 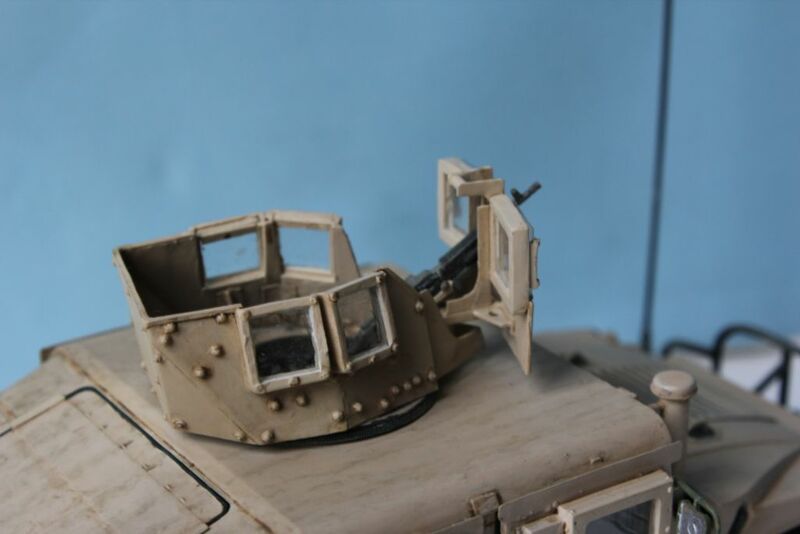 I then made a very rough paper mock-up of the turret to see how it fitted with the model. 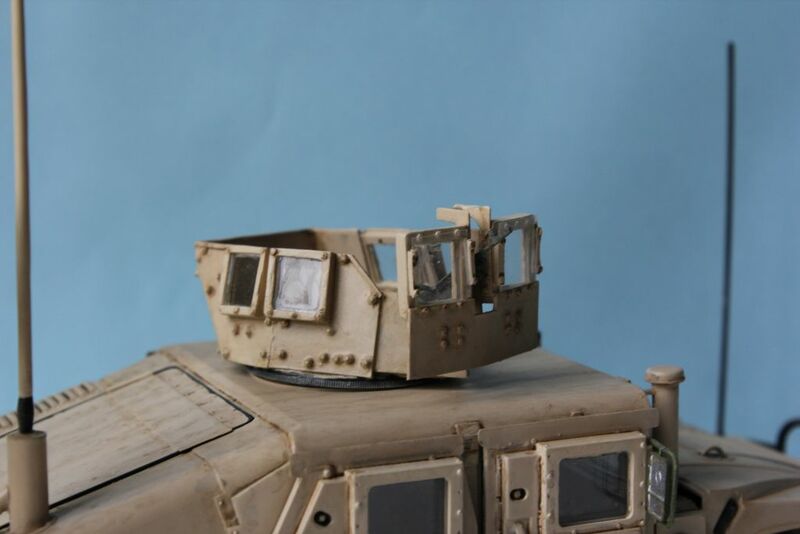 The following step was to move from paper to plasticard and to add ballistic glass windows. 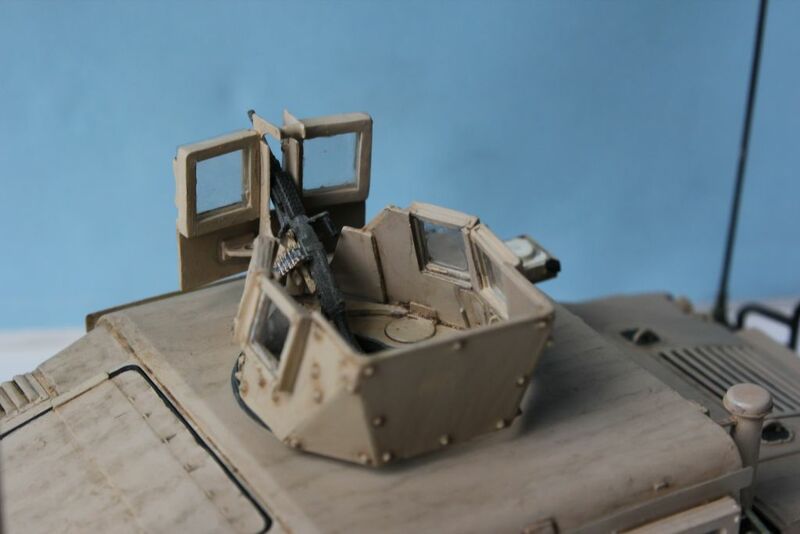 I finally added the front shield with the M240 by Live Resin. 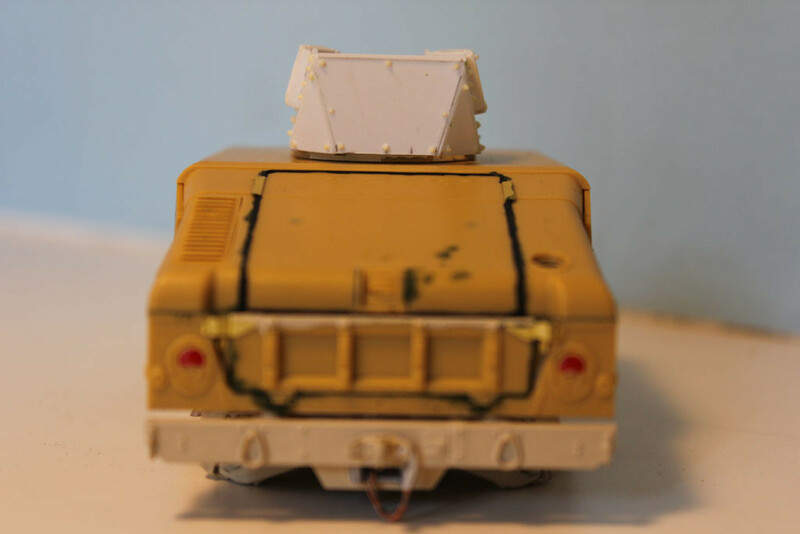 To complete the work I had to add bolts and nuts, that are present in large quantities in the MCTAGS using the “Rivet Set” from Legend Productions. I knew, from my previous experience that this work would have been a nightmare. 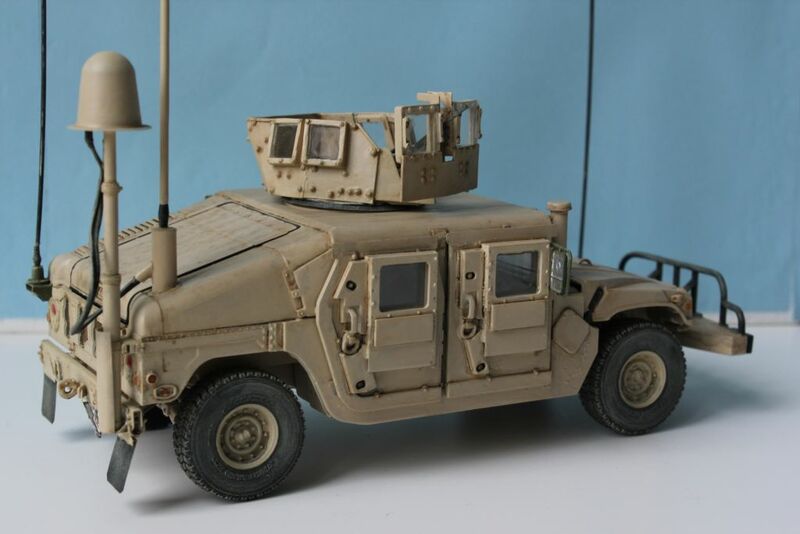 I asked for suggestions on Armorama and I received by “TacticalSquirrel” a very useful hint: “I have found for placing bolts, take a thick gel super glue, apply with toothpick to location of the bolt. I then take another toothpick, wet it with saliva/water whatever and pick up the bolt using the wet toothpick and apply to the superglue. Works great for me, just don’t mix up your toothpicks!”. Thank youy again Steve, you saved me a lot of time and pain! I also received some constructive feedback from Pascal Bausset who highlighted that the turret was a bit too high and narrow. 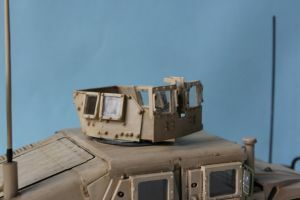 Looking again at what I did I believed the problem was related to the side windows that were higher than they should. 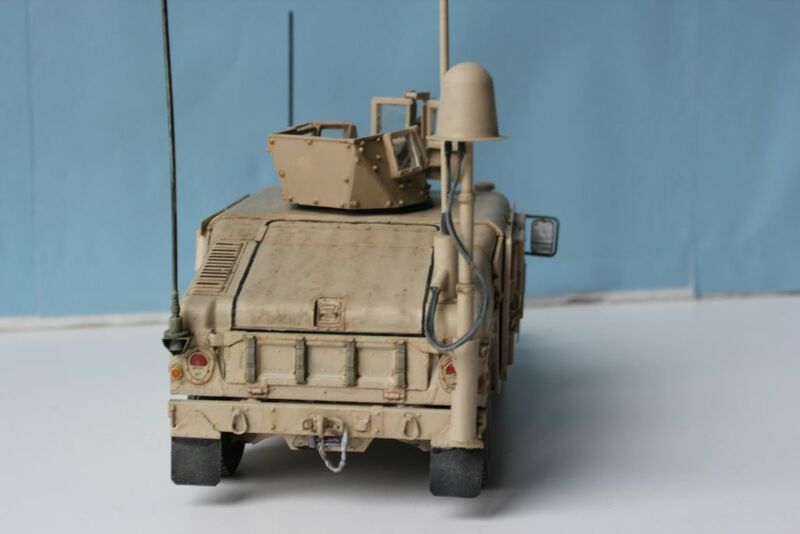 About the turret being too narrow, it was adapted to the width of the turret ring of the Bronco model. 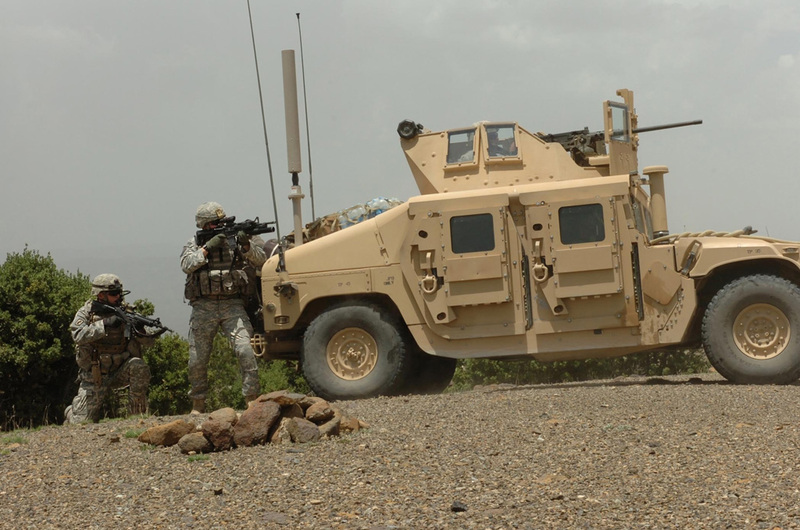 Does the Bronco turret ring have wrong size ? 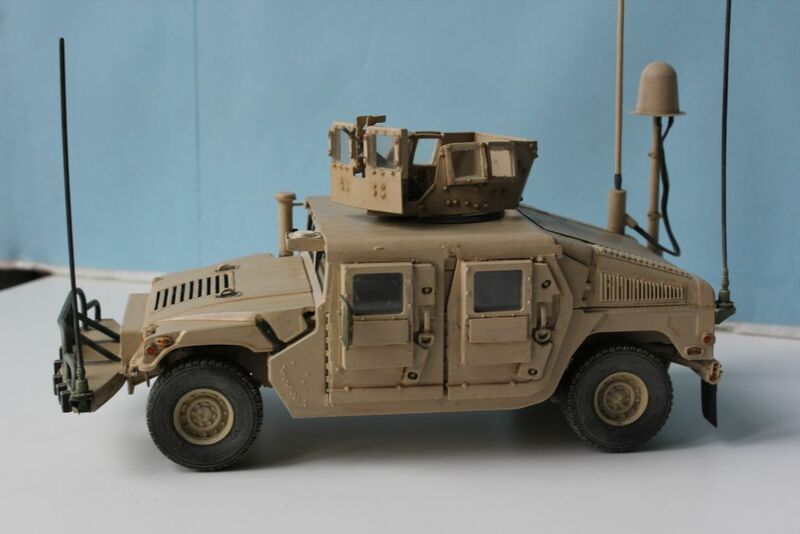 Taking into account Pascal’s comments I resized the turret, and here below is the result. 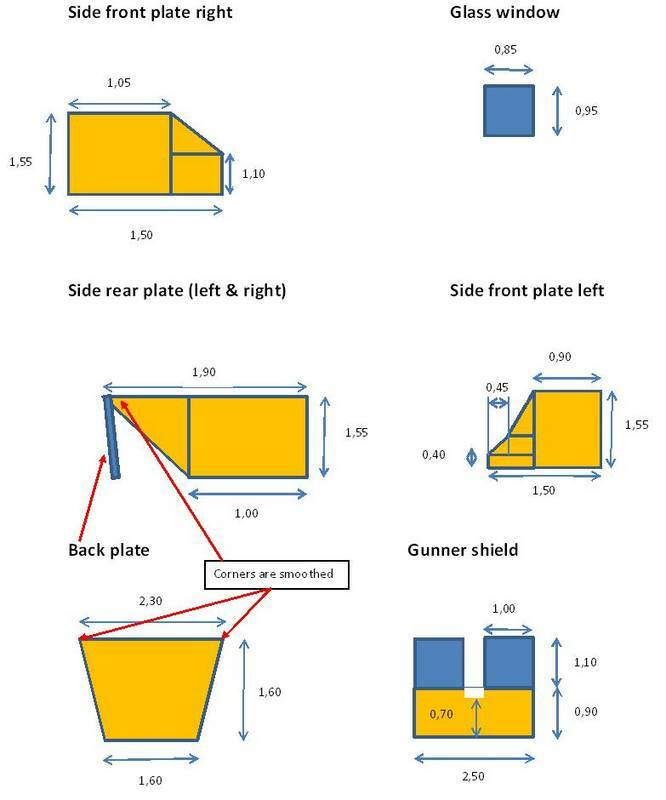 I don’t have a detailed drawing of the 7 panels that compose the turret, however I can share the measures I have used. 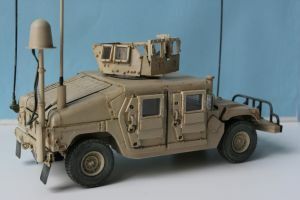 Model completed in October 2012.